If you are in San Francisco with half a day to spare then this is a trip that is well worth your time. Just remember to put on something warm as the wind chill factor is quite high even in summer. Regular Alcatraz tours including the ferry trip and an audio guide cost around $30 at the time of writing. Escaping from the Rock, as it was known, was not impossible but was never proved to be survivable. 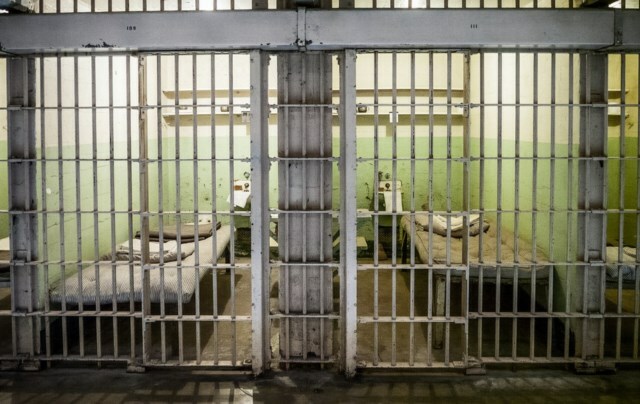 The cell walls and gun carrying guards were only the first obstacles to any escape plan. The mile and a half of freezing currents in San Francisco Bay lay between the island and the mainland. 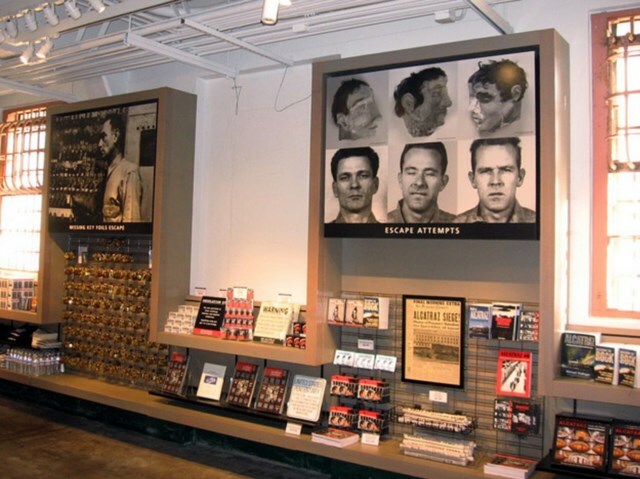 On 11 June 1962, Frank Morris and the brothers John and Clarence Anglin made the most famous of the 14 escape attempts staged at Alcatraz. They used spoons and improvised drills to enlarge vent holes in their cells and fashioned dummy heads to place on their pillows. Having accessed the utility corridor behind their cells, they climbed on to the roof and made their way to the water. All three remain officially missing, presumed drowned. So while no prisoners are known to have made it across, now each year around 2, 000 highly trained athletes do just that. 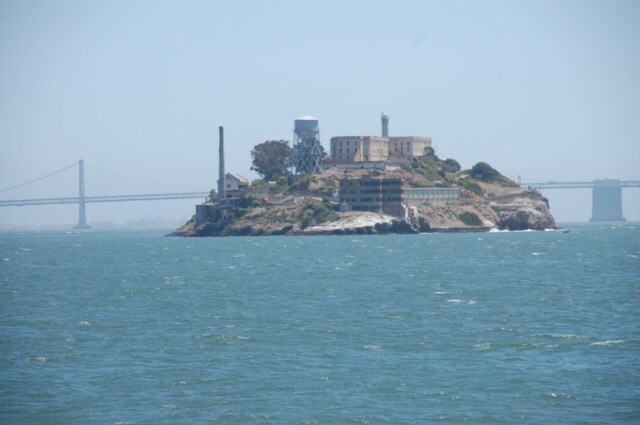 In the Escape from Alcatraz Triathlon the swimming part of the test starts by the rock. The competitors plunge from the San Francisco Belle with the finish for the swim at the Marina Green Beach adjacent to the St. Francis Yacht Club. The island was named by the Spanish in 1775 after an old word for a kind of seabird. 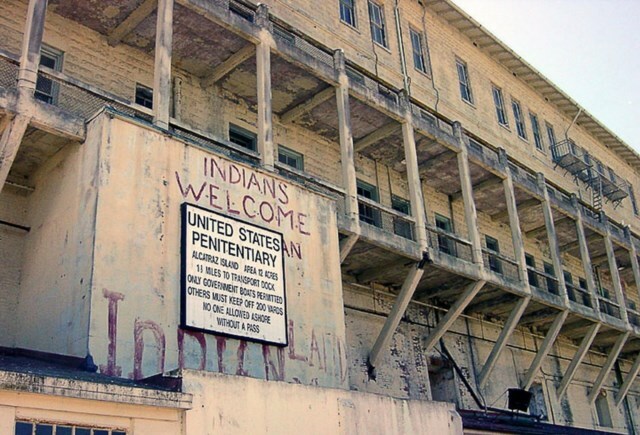 It became a US army base in 1850, housing military prisoners, before being converted into a maximum security federal penitentiary in 1934. 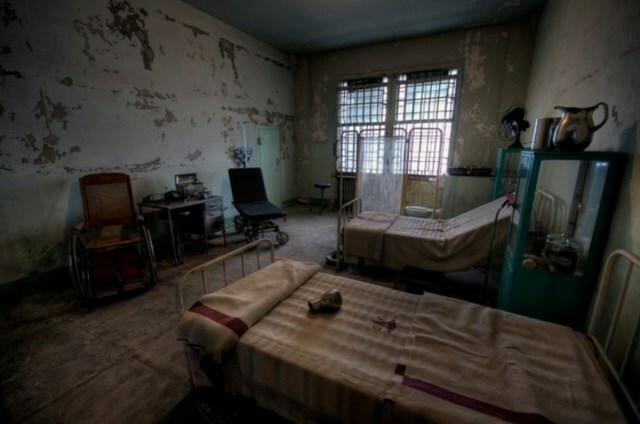 Over 30 years the jail held mob boss like Al Capone and the killer and talented ornithologist Robert Stroud, also known as the ‘Birdman of Alcatraz’. Alcatraz was closed in 1963 as it was too expensive to run and never reached capacity. The site was left to slowly decay until it was taken over from 1969 to 1971 in a protest by activists from the American Indian Movement. 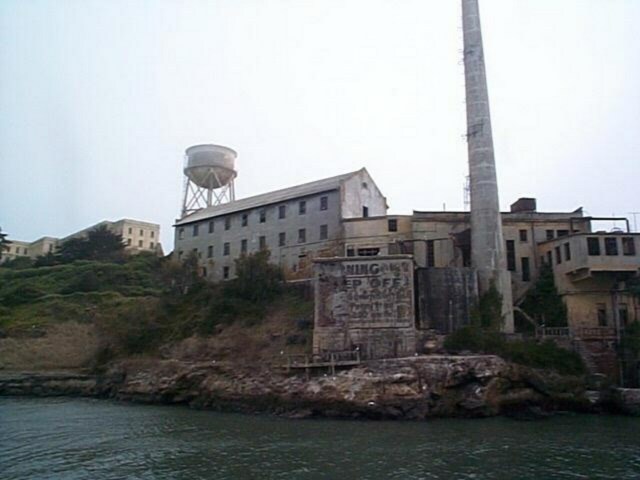 In a strange turn of fate that some of the former inmates might have enjoyed, the island has now become a protected landmark and one of San Francisco’s most popular tourist attractions. The Alcatraz Island Light stands 26 metres tall and has been automated since 1963, when the prison closed. The reinforced concrete lighthouse dates from 1909 and is the second on the island. The original beacon, which was damaged in the San Francisco earthquake of 1906, was much shorter. When it was first lit in 1854, it was the first lighthouse on the Pacific coast of the US. 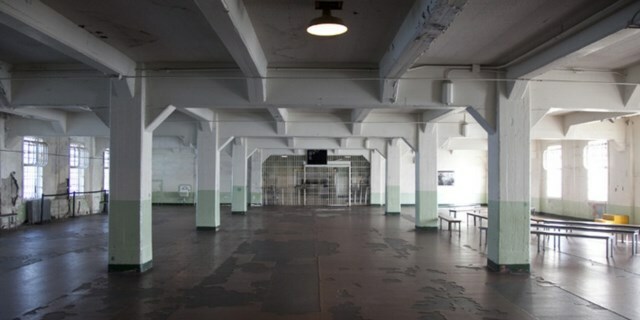 Although conditions in Alcatraz were hard they were better in some other prisons as inmates had individual cells. 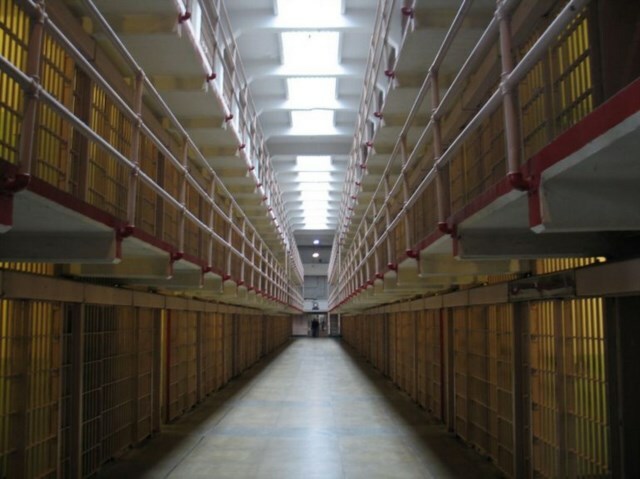 It was said that the food on Alcatraz was the best in the US prison system. This was in part to remove a common excuse for riots. Prisoners could help themselves to as much as they wanted, although they were punished if they failed to finish their food. 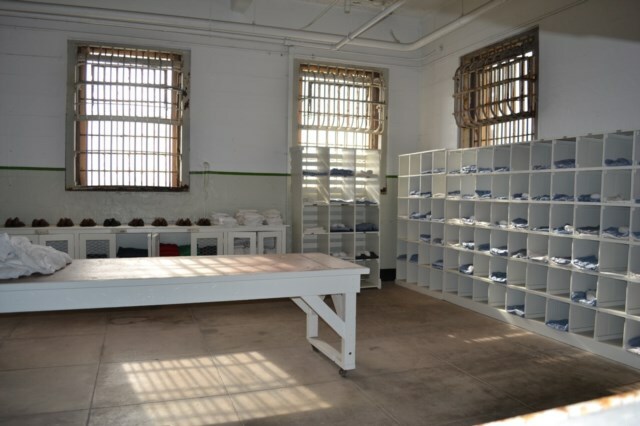 Cutlery in the dining hall was counted in and counted out to prevent inmates pocketing potential weapons or chiselling devices. 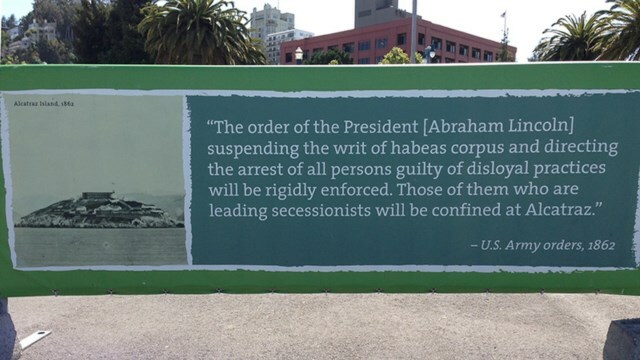 Inmates at Alcatraz had only four rights; food, clothing, shelter and medical care. Everything else was privilege that had to be earned by good behaviour. Time in the recreation yard on weekends was one of the few simple pleasures allowed and prisoners organised themselves into softball teams. So if you have the time I would definitely recommend you put this on your ‘todo’ list for your next visit. Viewed 1994 times since 4 January 2016.